TAO BOUTIQUE CONDOMINIUMS NOMINATED FOR 4 AWARDS AT THE 2012 OHBA AWARDS THIS YEAR! 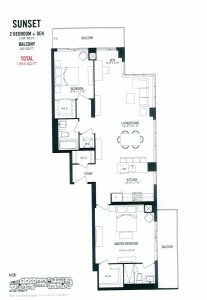 Most Outstanding High or Mid-Rise Condo Suite (800 sq. ft. and over) Nominated Suite is the ‘Sunset – 2+D’, 1354 sq. ft. The Sunset Suite, a splendid 2 Bedroom + Den design by Graziani & Corazza Architects together with Feng Shui Master Paul Ng infuses positive energy that harmonizes the beauty of it’s natural environment. With practical living in mind, it’s where tranquility meets sophistication. Tao means path. Tao Boutique Condos presented a unique opportunity to market a project that was heavily influenced and designed by a Feng Shui Master. The Tao logo was directly inspired by the Feng Shui chart used by specialists to choose locations of objects, furniture, rooms and even buildings. The chart describes the relationship between locations, colour, life goals and key Feng Shui elements like fire and water. The octagonal shape of the Feng Shui chart is represented in the Tao Logo by the black, grey and red triangular shapes that merge into the Tao nameplate. Similar to how we want homebuyers to find their centre in the tranquility of Tao Condos, the vibrant shapes also find their calm and centre in the middle of the logo. The colour red used in the logo is significant to Feng Shui principles as it represents energy, good luck, courage, passion and more. In marketing a Feng Shui-inspired condo, it was important to stay true to the principles of this ancient philosophy for the logo, design and branding. From chaos to calm, the brochure tells the story of escaping the day-to-day commotion of city life to the tranquility one can find at Tao Boutique Condos. The brochure was created using a traditional Chinese book-binding method, including printed fabric and black string that is both decorative and functional. The traditional look is kept consistent throughout the brochure with a thick, parchment-style uncoated felt-weave stock that is designed to look like Chinese water colour paper. Traditional ink and water colour illustration styles were incorporated, but with a modern twist. UV inks ensured the colours stayed bright and vibrant, which is typically a challenge for the type of paper used. The graphic design is subtle but not sparse, minimal but not stark. Elements like dandelions and hummingbirds are used throughout to highlight the importance of nature in Feng Shui. The beautiful interior and exterior renderings are only made more exquisite by the Chinese brush stroke design treatment, so that the renderings blend with the pages themselves. The brochure is a beautiful extension of the campaign and ties in to the overall concept of Tranquility Found. An inviting lobby for guests that incorporates all of the elements of fire, water, metal, wood and earth to calm the senses. Mantra Gardens, a zen inspired recreational area featuring a manicured garden featuring laybrinth-like stone, red maple trees and fragrant flowers. The perfect place to relax and be one with nature. The Tiger Room boasts a spacious lounge style setting complete with private dining room, perfect for entertaining guests. The Dragon Room provides a cozy lounge style setting with a four sided fireplace which can be used to greet guests. For greater privacy, the Laya Lounge is also available. The Bodhi Fitness and Yoga Studio promote healthy balance and living well. Featuring spansive windows and excercise equipment to suit an array of personal needs, invorating the mind, body and soul is within reach at Tao Boutique Condos. For sales information click here. We at SigNature Communities are honored to have been recognized for such prestigious awards! The Ontario Home Builders Awards will be presented at the Village at Blue Mountain Conference Centre in Collingwood from September 23-25. We’ll keep you posted!